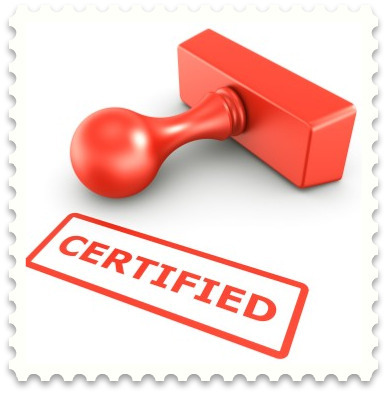 OTech: To Certify or not to Certify, that’s the question. The recent buzz around the announced new IHE certification caused me to step back and think about the value of certification and how it might impact and/or better the implementation of healthcare imaging and information technology. 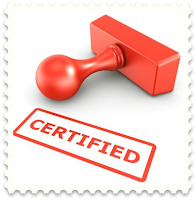 If you look up the definition of certification, it means: “confirmation that some fact or statement is true.” Therefore, it appears that we are looking for an entity, supposedly un-biased and objective, to prove that a specific claim such as a person, product and service or, in the case of IHE, functionality and/or interface specification is true. Some of these certifications are well established and accepted by the industry, for example, we have professionals who are “Certified PACS Administrators” (CPAS) or “Certified Imaging and Informatics Professionals” (CIIP). We have products that are “Certified EMR.” Another semi-certification, is the FDA approval process. The FDA would not want you to claim that you are “FDA certified,” but, rather a device would have received 510(k) clearance, but it is still the same process: confirm that a medical device meets certain requirements with regard to safety and effectiveness. There are also voluntary certifications such as ISO 9000, and its equivalent for medical devices, ISO 13485, which certifies the presence of a quality management system. First a few words about certifying professionals. There are quite a few certifications that a healthcare imaging and IT professional can pursue after he or she has completed a basic education. Universities are offering numerous certificate programs as additional training, and there are many certifications by the major hardware and software vendors (Cisco, Microsoft, Oracle). Most application software vendors offer their own certification (EPIC certified), professional organizations offer certification (ARRT to become a certified CT/MRI tech), and non-profits such as HIMSS (CPHIMS), PARCA (CPEMS, CHEA and CPSA) and ABII (CIIP) offer certifications as well. In general, there is a trend to require more and more certified professionals by institutions as well as vendors. In addition, there is also a trend by the states to require certifications. As an example, the Texas legislature in the previous session actually had a bill pending that would require all healthcare technical professionals to be certified. In addition to these trends, there are sometimes heated discussions about the benefits and/or requirements of being certified as a healthcare imaging and IT professional, although these seem to have calmed down and it has become accepted. Second, with regard to certifying products and services by ISO, FDA and others, there is no question that this has caused a major improvement in the quality of the products and services offered. The FDA clearance process is not quite perfect, which is witnessed by the number of discrepancy letters that the FDA generates as a result of their site inspections, and the number of worst case interventions resulting in recalls and closing down plants. Many of you might recall the shortage of C-arms several years back as GE was forced to close down its manufacturing plant (as per the press release: “FDA's most recent inspection of the Utah facility, conducted between July 31 and August 29, 2006, revealed CGMP deficiencies, including failure to establish and maintain adequate procedures for validating the device design and failure to establish and maintain adequate procedures for implementing corrective and preventive actions”). These products did all have FDA clearance, which shows that certification can only provide a higher level of certainty that a product meets certain specifications, but cannot guarantee it. As a company, we provide FDA “mock-audits” and it is very unusual for a typical company to pass this without any minor, or in many cases, major discrepancies, therefore proving the point. I have seen a similar behavior at the annual Connectathon meetings, where vendors show up to test their IHE profile implementations, and, with all good intentions, their implementations are sometimes quite far from meeting the connectivity requirements as defined by these profiles. Needless to say Connectathon testing definitely provides a major benefit to both the vendor and ultimately the user community. However, the question that is now raised, is whether or not we also need certification in addition to the testing that has taken place ever since the late 1990’s. IHE USA definitely thinks they should add a certification component, as per the recent announcement to provide this as an option at the 2013 Connectathon in Chicago. I have been fortunate to be able to participate in the Connectathon effort as a monitor for the past several years. The way this effort operates is probably best described by David Clunie in his blog on this subject, “it provides the opportunity to gather and learn and test and even experiment at the Connectathon, in a relatively informal manner that encourages iteration, improvement and collegiality between competitors.” One item I like to add to this statement is that the Connectathon provides a level-playing field for any vendor, regardless of its nationality, size or perceived importance in the market. As an example, I have watched integrations between small Asian companies who developed workstation applications with major players of PACS and imaging modalities. These small companies would never have been able to get a chance to test their implementations against any of these other parties except in the field, which is definitely not the ideal test environment. Second, I think that we have started to realize that worldwide specifications such as IHE and their corresponding DICOM and HL7 standards are still subject to interpretation especially by engineers whose primary mother language is NOT English. The Connectathon provides a forum for interpretation. If certification of IHE profiles is going to be reality and replaces the Connectathon, it will almost certainly use internet-based tools. That means that the face-to-face interactions with monitors who are domain experts, and the iterative improvement process that has been taking place, will be killed. It will also mean that some of the profile testing will become impossible, especially when there is a human (visual) interpretation required. As a case in point, how would a radiologist-monitor be judged as to whether the CAD marks match the actual findings on a mammography image in a virtual internet-based test environment? In addition, I am not sure about the additional benefit that an “ISO-based” certification process would provide, except for additional cost and effort. As experiences show with FDA approval, unless there is an “inspection process” that actually validates the implementation in certain products, and an enforcement process, the additional benefit of the rubber stamp might not justify throwing away the baby with the bath water. In conclusion, I believe that certification makes sense for professionals, for medical devices as required by the FDA, for implementing quality systems, such as done through ISO, and for functionality as required by ONC for the EMR’s, however for IHE, I can’t find any sensible reason to require certification. Will it happen regardless? Probably yes, but I can only hope that there will be a fair amount of discussion around the adoption of certification and that the IHE leadership will be listening to all stakeholders involved and take their concerns into account. That's really cool, Pat. So where is this wildflower-filled valley? ;)Fantastic flight captures. A beautiful bird to see. trung tâm ngoại ngữbình thường làm sao phát hiện ra được, xem chừng hắn cố ý lộ ra. Vạn Biến Thiên Ma chế giễu thú ma. - Là ngươi thông minh, hừ. - Không sai, hiện tại chúng ta ngoài phương đông bất kỳ nơi nào cũng có thể đi. - Chúng ta mau đi, vừa rồi người kia là người của liên minh tiên đạo, hắn đã chết có thể bóp chết ngọc giản, liên minh tiên đạo trong vòng nghìn dặm sẽ có được tin tức. Thú ma cất tiếng nói. Nhưng đúng lúc này trên không trung đã có mười mấy đạo thân ảnh bay xuống. What is the use of 2-3 year (university / academic) rigorous course work that is completed for getting a masters degree? May be this is useful for non university graduate in GIS field. Hey, Awesome post!I'd like to share a little point with you.The essential destination of ISO 13485:2003 is to encourage orchestrated restorative gadget administrative necessities for quality administration frameworks. Thus, it incorporates some specific prerequisites for medicinal gadgets and rejects a portion of the necessities of ISO 9001 that are not suitable as administrative prerequisites. In view of these prohibitions, associations whose quality administration frameworks comply with this International Standard can't assert adjustment to ISO 9001 unless their quality administration frameworks adjust to all the prerequisites of ISO 9001.Thanks you so much!! The informationhadoop training in chennai you displayed here is useful on oracle training in chennai enhance my job keep updates. Concepts.With our Pega Training in Chennai you’ll learn concepts in expert level with practical manner.We help the trainees with guidance for Pega System Architect Certification and also provide guidance to get placed in Pega jobs in the industry. TRAINING IN CHENNAI OFFERS TRAINING WITH PRACTICAL GUIDANCE. OUR TRAINING ACADEMY IS FULLY EQUIPPED WITH SUPERIOR INFRASTRUCTURE AND LAB FACILITIES. WE ARE PROVIDING THE BEST ORACLE PLSQL TRAINING IN CHENNAI. I have been following your posts regularly. It is very informative that I share it with my students. Really it's very useful info for online trainings,thanks for sharing these articles. It is really informative article and thanks for sharing with us. I found some useful information in your blog,it was awesome to read, thanks for sharing this great content to my vision, keep sharing..
which will assist you in getting hi-tech industry jobs as possible in future courese of action.. Bed Bug Exterminator Leesburg VA Very interesting topic will bookmark your site to check if you write more about in the future. If I wanted to read an article without interacting with other readers, I would go buy a newspaper or magazine instead of taking time to read a blog. I believe the comments section is part of what makes a blog. Hi, I did Oracle Apps Training in Chennai at besant technologies. They provide job oriented training for all students and also they have 10+years of experienced professionals. This one of the added advantage for joining this institute. Nice article. I glad to found your blog. Thanks for sharing. Nice topic. This is very useful. Thanks for sharing. Nice article. I gained some knowledgeable information from your post, Thanks for sharing. "Crazy bulk is one of the ideal options to build quality and strongest muscles masses just in 2 to 3 weeks. This is the greatest product for muscle growth that provides the good muscle size. The person who is looking for the right muscle gaining supplement they can choose this crazy bulk product to gain powerful muscles as well as the crazy bulk helps to increase your stamina. Very interesting to read. I like your post. Thanks for sharing. Interesting to read. Thanks for sharing. Certify or not that the nice posts..
it is the best provider of business intelligence,learn and be in the professional field. Grateful article.In this opportunity i want give that my point of view grace post I would be looking forwards to my friend.I'll check that your sites is very good post. Very useful post, Thanks for sharing this information with us, keep updating your post. We have placement tie-up with more than 450+ companies. Our Placement team work tirelessly to help you get your dream IT job! I'm very happy for this Selenium Training in Chennai blog site my comment post. We create this blog content is really interesting and use valuable information news.Well job, it's grateful knowledge informative. I have read your blog and i got a very useful and knowledgeable information from your blog.its really a very nice article. If you are looking for best Oracle fusion financials low price of fee for on-line coaching. Thanks for sharing the information and keep updating us. This information is really helpful to you. Usually, I never comment on blogs but your article is so convincing that I never stop myself from saying something about it. You’re doing a great job Man, Keep it up. I really appreciate your blog. Thank you for sharing this blog. best tableau online training in hyderabad.